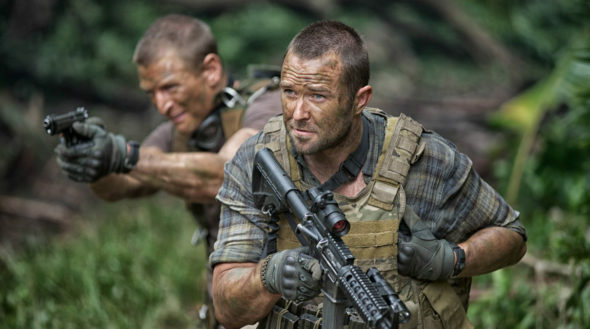 “Dangerous soldiers for dangerous missions.” Recently, Cinemax released new previews for the upcoming sixth season of Strike Back. The action drama follows the missions of Section 20, a classified branch of the British Defence Intelligence service. The new cast includes Warren Brown, Daniel MacPherson, Roxanne McKee, and Alin Sumarwata. Season six of Strike Back is slated to premiere on Cinemax in 2018. What do you think? Are you a fan of Strike Back? Are you excited for the new season? Not going to watch it, although I was a big fan of the first 5 seasons. With the 2 lead characters missing its just another shoot”em up. Their chemistry was what brought the violence to a meaningful point. I am excited to see the return, but disappointed that the two main actors from previous seasons will not be part of it. They were very,very believeable in their roles….so, I’ll give the new one a chance….just a chance. I really wish that if you were to bring a new season back of the same show that you would use the same actors. For this reason alone, I’m not at all that excited. I am a big fan, can not wait for its return. Disappointed about new cast hope they can fill the shoes. Looking forward to it but a third set of character changes as soon as you warm to them, they change.